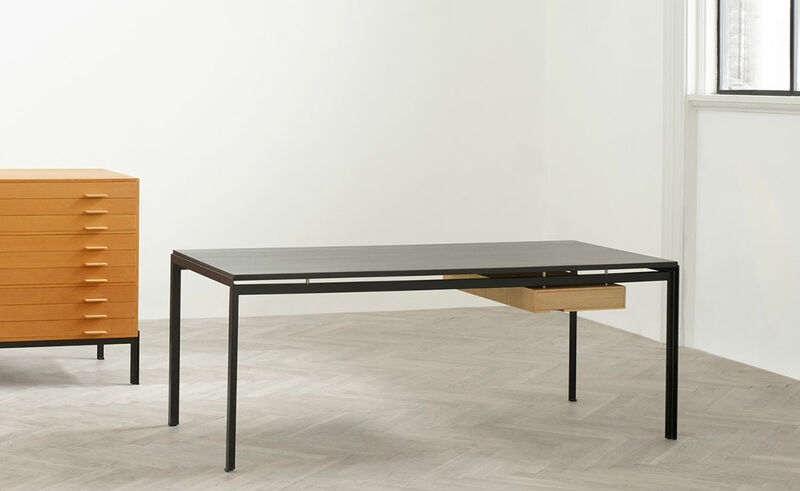 Poul Kjaerholm mastered the art of working with both steel and wood - an achievement evident in his 1955 table series for the Royal Danish Academy of Fine Arts. 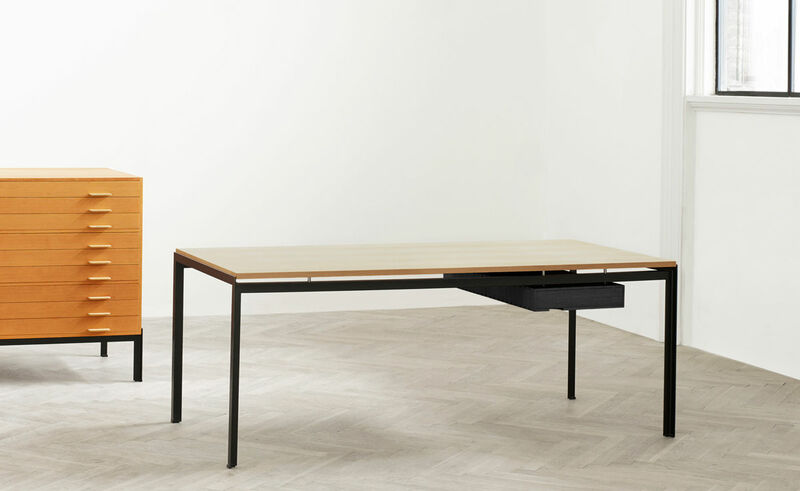 The designs, which have a clean, light expression, helped establish the talented furniture designer, who went on to become a pioneer of Danish design. 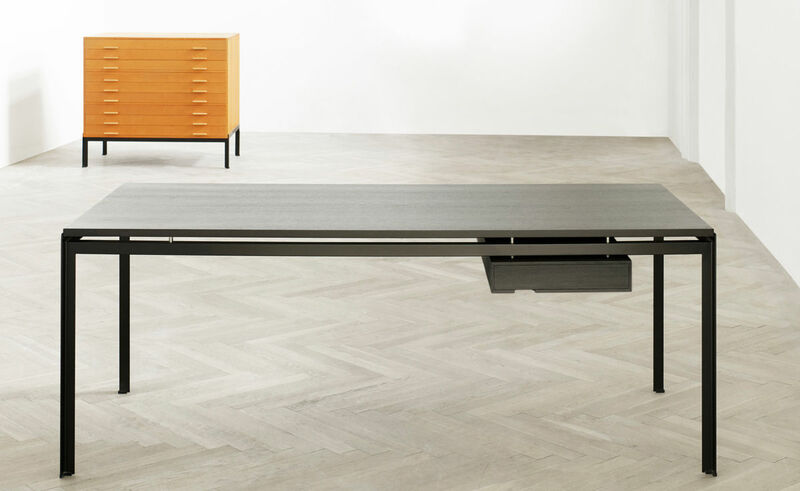 The two tables now form a natural addition to Carl Hansen & Son's collection. 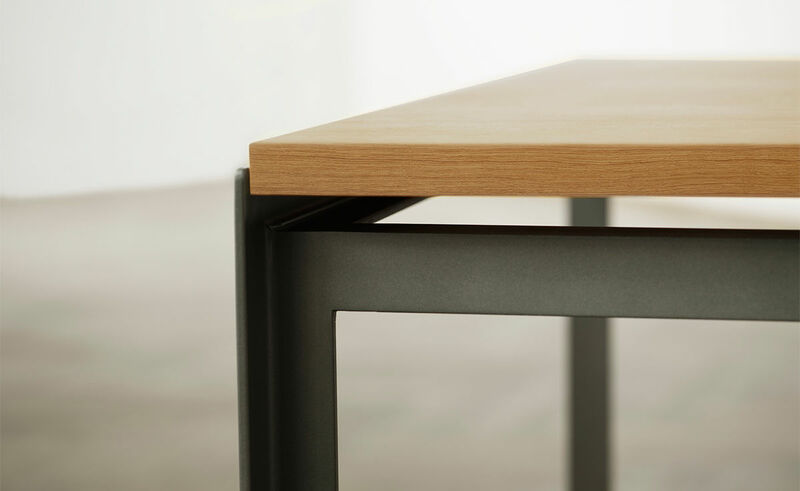 This ability is very evident in the unique furniture series Poul Kjaerholm developed in 1955 for the Royal Danish Academy of Fine Arts. 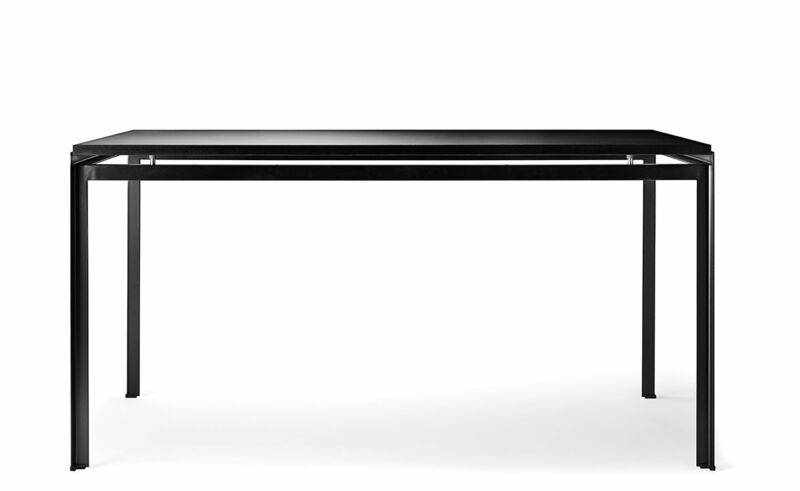 The Academy needed a number of tables for lecturers and students, and Kjaerholm, who had recently joined the academic staff, designed a Professor Desk made of Oregon pine with a black-lacquered steel frame and a Student Desk made of black-stained oak with a gray-lacquered steel frame. 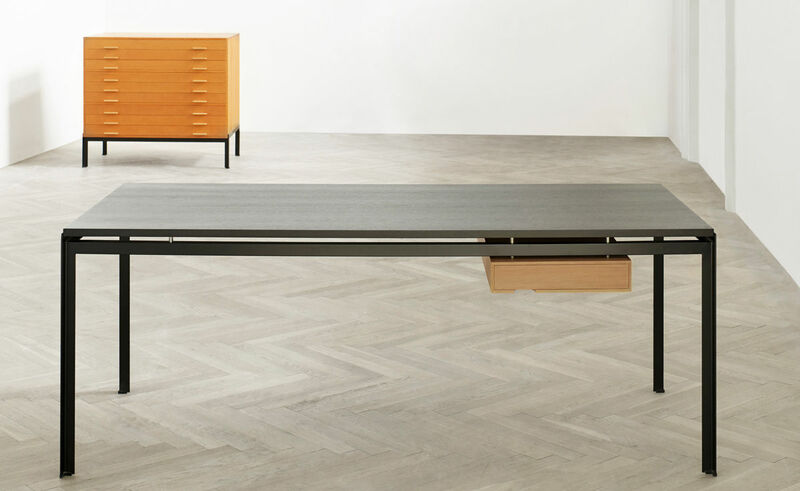 It was through this process that Kjaerholm perfected the synthesis between craftsmanship and industrial design, drawing on his experience in both cabinetmaking and furniture design to develop his highly recognizable signature style. 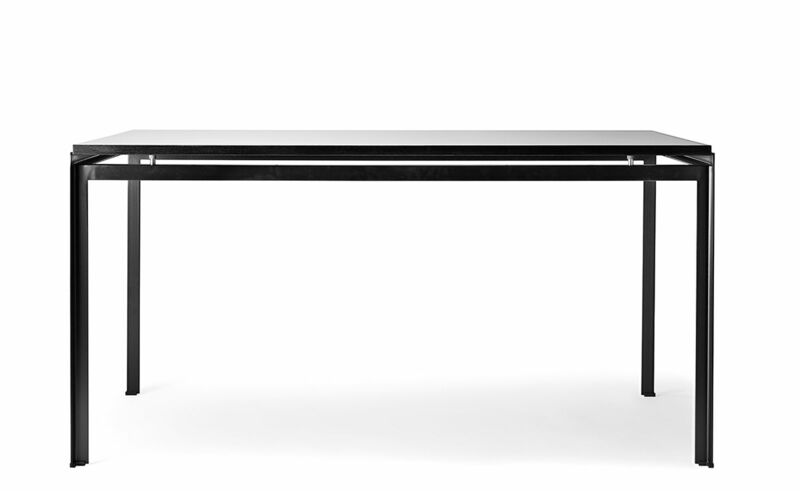 Both tables are available with either a laminate (black/grey), Oregon pine or oak veneer tabletops in various finish options, and a black- or gray-lacquered steel frame. 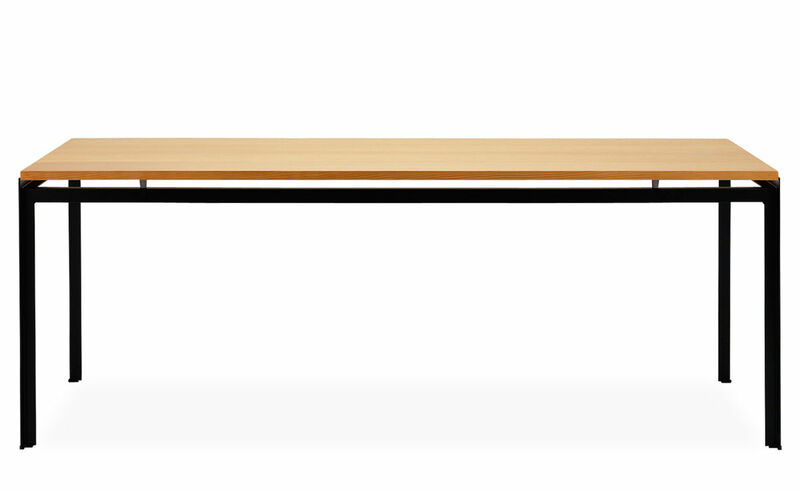 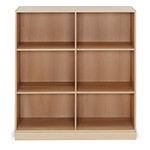 The optional drawer is available in oiled, lacquered or black-painted oak with a solid wood, plywood interior. 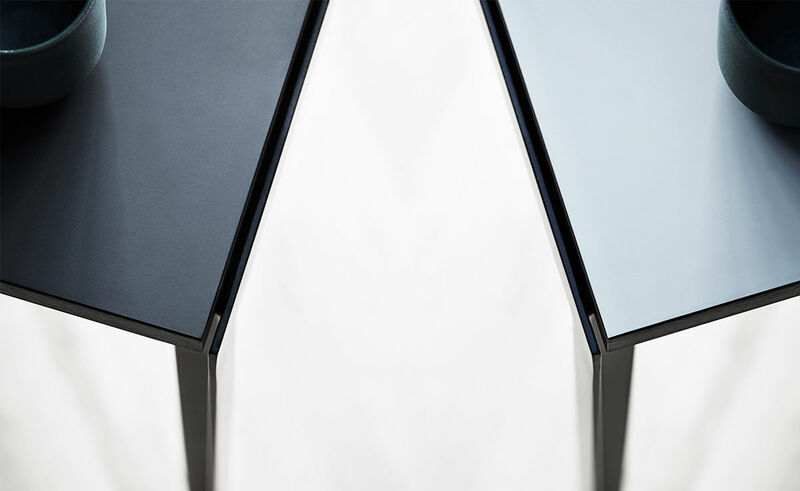 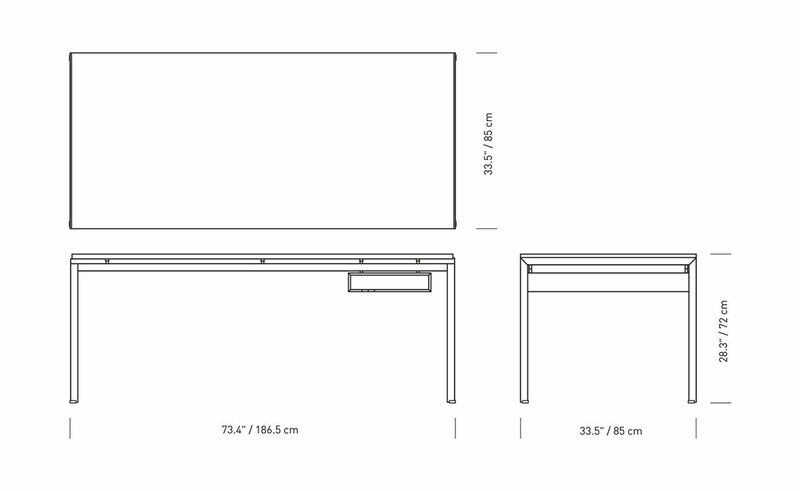 Table top is always reversible, with or without the drawer module. 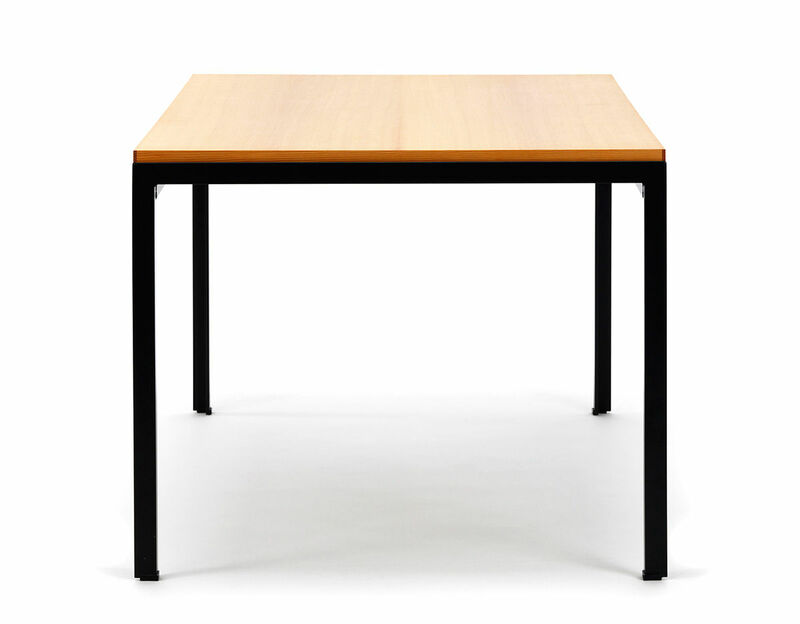 The laminate table tops are black on one side and gray on the other side and come with a black oiled wooden edge. 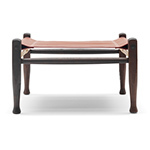 $4,845.00 + free shipping in the continental U.S.
Poul Kjærholm (1929 –1980) began as a cabinetmaker’s apprentice and had a particular interest in various construction materials. 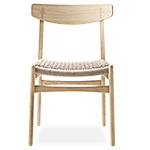 After studying at the Danish School of Arts and Crafts, he worked briefly for Fritz Hansen, designing many notable chair prototypes. 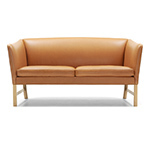 In 1955, Kjærholm began a lifelong partnership with manufacturer Ejvind Kold Christensen. 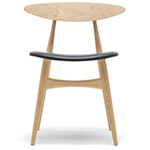 After Kjærholm’s death, many of those pieces were handled by manufacturing firm Fritz Hansen. 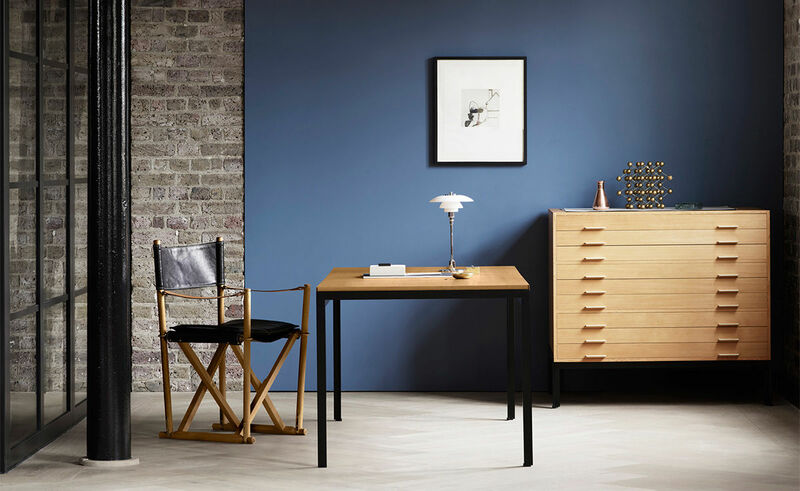 However, in 2004, Kjærholm's son established Kjærholm Productions, to produce those items of his father's furniture that Fritz Hansen had discontinued production of in 2003. 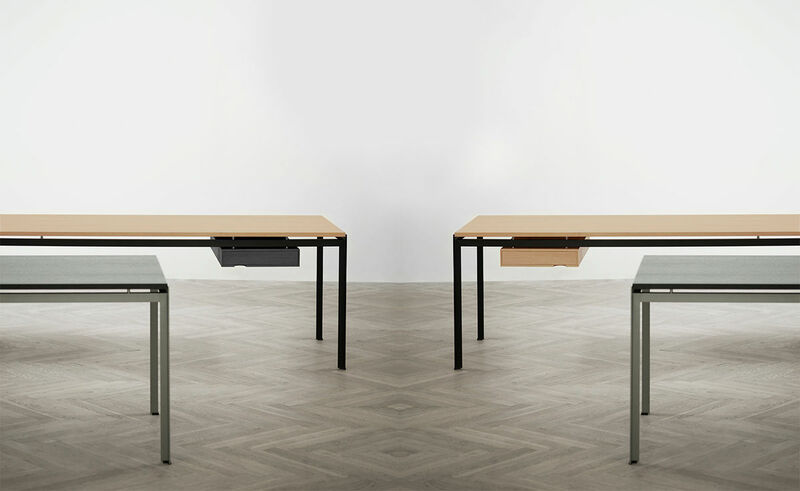 Kjærholm’s designs are in the permanent collection of the MoMA in New York, the Victoria and Albert Museum in London, and other museum collections in Denmark, Norway, Sweden and Germany.